If you have ever walked the hallowed grounds at Augusta National Golf Club for the Masters, then it is likely that you understand the feelings I am talking about in this post. Despite the fact most all of us will never play in the Masters, as a golf fan you can’t help but feel a special connection with the tournament. I had the fortunate pleasure of going to the 2007 Masters, though I didn’t make a tournament round. I went on a Tuesday practice round, which when going to tournaments, I generally prefer the practice rounds as it is. They are less crowded, and the players are more at ease. Anyway, upon visiting Augusta National and walking every square inch of ground, you can’t help but marvel at the majesty that each hole provides, combined with the tradition and rich history unlike any other golf course in the world. If you are a fan of golf, you need to go to this tournament. It will be unlike anything you’ve ever seen when it comes to this game. Those who show up to the tournament prepared to appreciate what they are about to see, will get a lot more out of the trip than those who do not. Marvel in what the members at Augusta National Golf Club do each year. Is it an elite golf club? Sure. Are there some things that might need to be changed with membership? Probably. But there is no denying that this place is special. 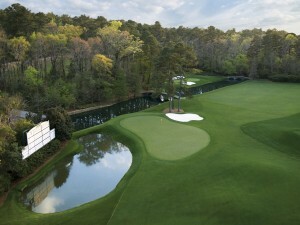 If you don’t get a chance to get out to the 2013 Masters, which begins next Thursday, the practice rounds open on Monday, make sure you set time to watch the tournament. Take it all in, even the Par-3 contest on Wednesday. This Masters is showing all the potential to be one for the books, with Tiger Woods coming in as the No.1 ranked players in the tournament for the first time since the 2009 tournament. Woods has already won three times in 2013, in just five starts. That includes back-to-back wins at Doral and Bay Hill, the last two events that he played in. But there are a number of other players who are playing well too, which means that we are all in for some great and exciting golf beginning next Thursday. Once the tee times and pairings for the first two days of the Masters are released, we will have them here for you so that you can check out who is paired together, and all ofthe other information for the week. This entry was posted in Opinion and tagged 2013 masters, augusta national golf club, the masters on April 5, 2013 by Bryan.